Black will always be the color that defines style and sophistication and it has a place in the world of spirits as well. It is not surprising that with all of the designer vodkas on the market that someone would devise a way to add color to the famously clear liquor without drastically disturbing any of the flavor characteristics of a true vodka. Blavod is the result of that brainstorm and it is the only premium black vodka on the market today. As vodka goes Blavod is an excellent premium brand that can be defined on its own without the branding of "The Black Vodka" and can stand against many of the non-colored vodkas on the market. Knowing that the hue is a little off the wall has the tendency to change people's perception of its actual taste. Some people that have tried Blavod in a straight taste test noted a subtle, yet distinct, flavor undertone to Blavod. However, when blind folded those same people are usually not able to distinguish between Blavod and a clear vodka of equal quality. The herbal extract catechu (an extract found in Uncaria Gambier trees of Asia) is responsible for the blackish-violet hue of Blavod and although touted as having no significant effect of taste, there is a underlying herbal finish that is not found in most clear vodkas. Blavod is an extremely smooth vodka with clean undertones of dark berries and the ever-so-slight hint of cloves and anise. This heady spirit emits an intriguing sweet citrus, woody and flowery aroma that can do no more than entice one to have a sip. 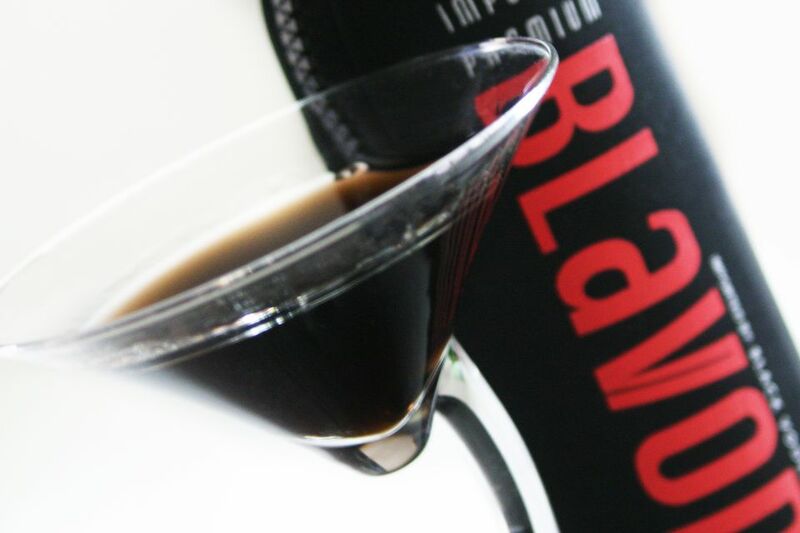 One of the best qualities of Blavod is its ability to create wonderful layers in a drink. The Black Widow and October Screwdriver are testaments to the vodka's dexterity to turn a common cocktail into a ghoulishly stylin' libation. For quick Halloween-themed cocktails that never fail to be the talk of any party, have a bottle of Blavod on hand and use it in any vodka drink to create a little extra atmosphere. Neutral grain vodka with black catechu to give it the black color. Distilled by Blavod Drinks Ltd. of London. Retails for around $35 for 750mL bottle.